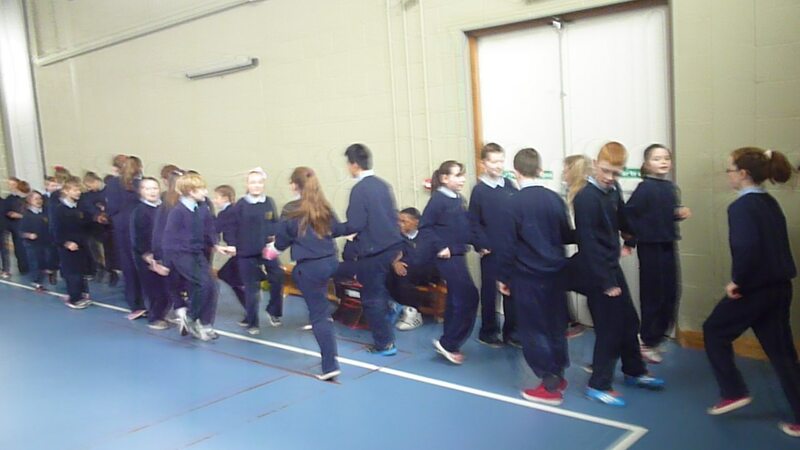 Well done to fourth class who performed ‘Six White Boomers’ for the Christmas concert! 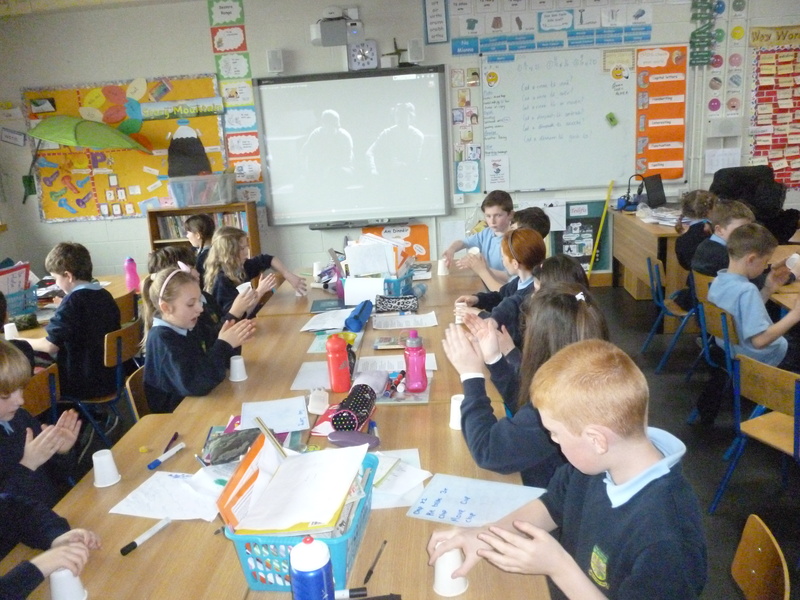 Fourth class are enjoying learning the ‘Christmas Clap Rap.’ Here is a video with the lyrics so you can practise at home! 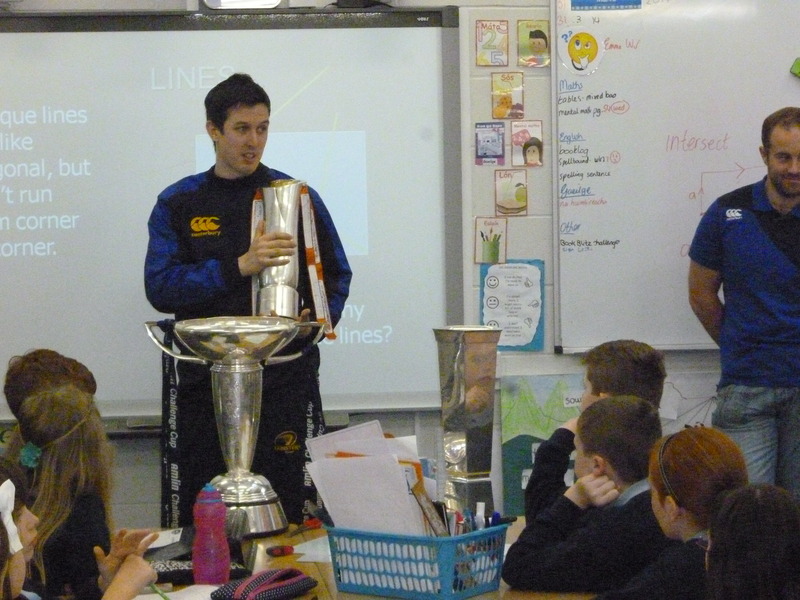 Today we got a surprise visit from Leinster rugby representatives! 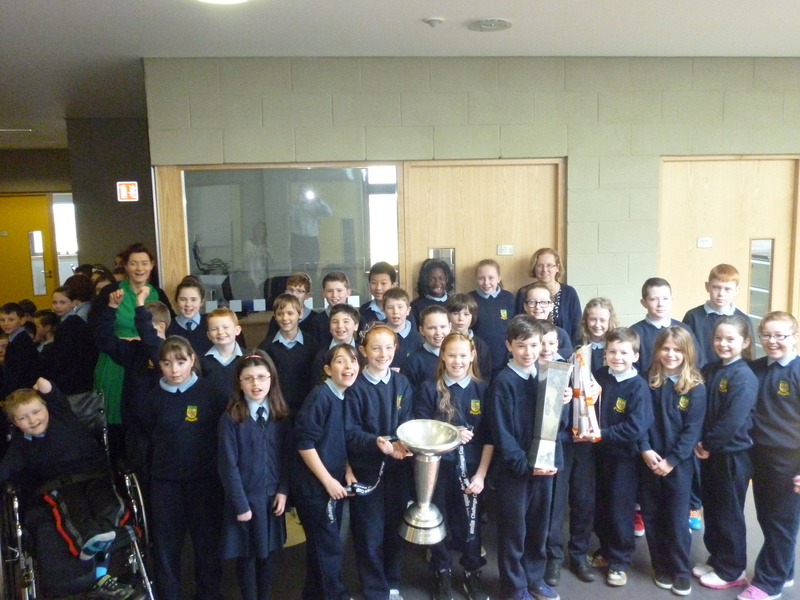 With them, they brought the rabo direct trophy! 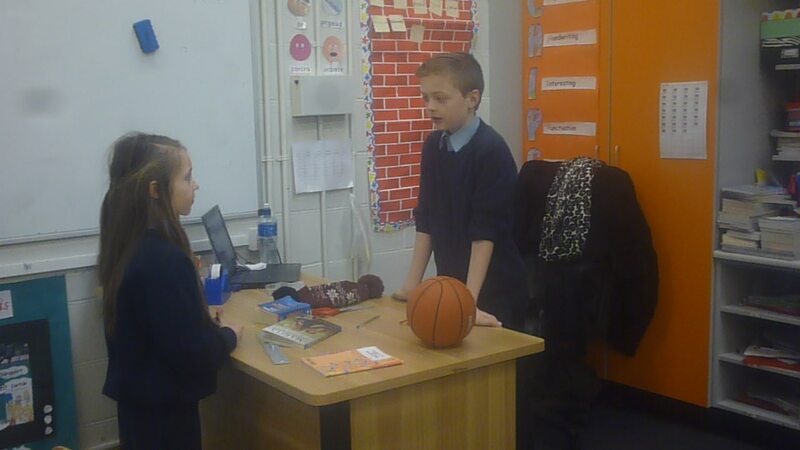 There was great excitement all round! 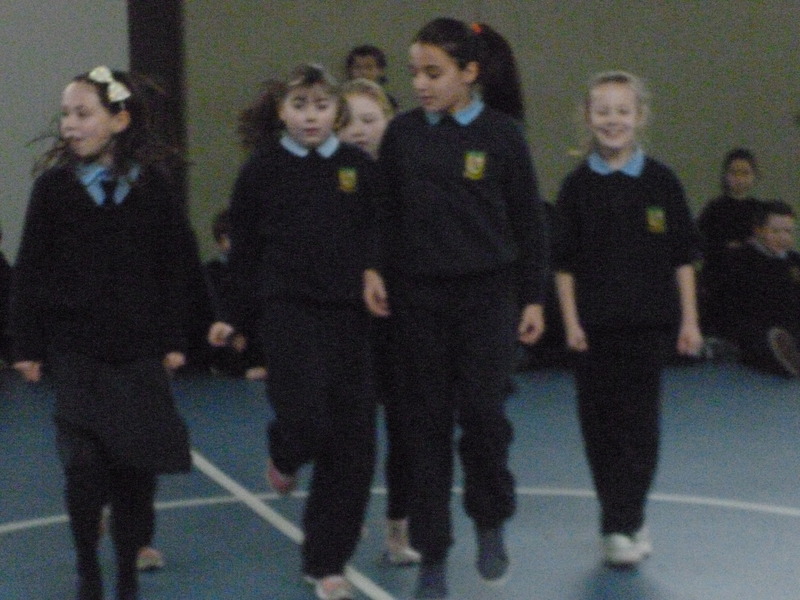 In keeping with ‘all things rugby’, we are having fun learning the haka! 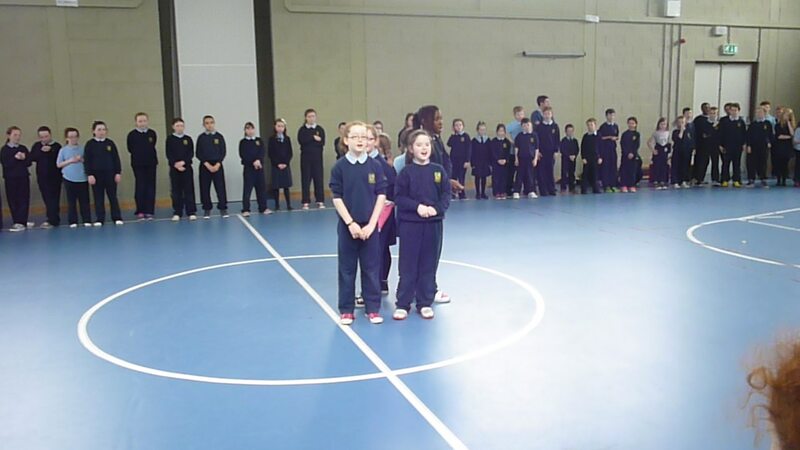 Filed under Gaeilge, PE, Videos |	Comments Off on Rugby Mania! 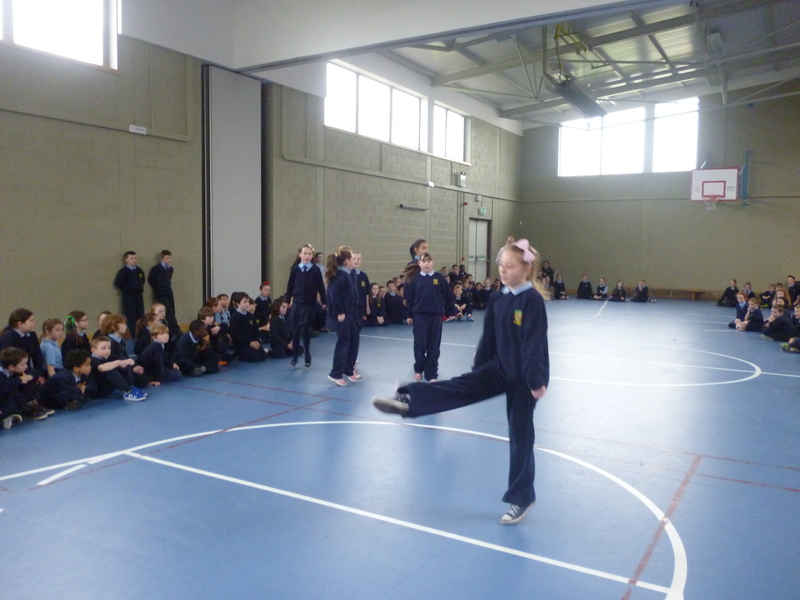 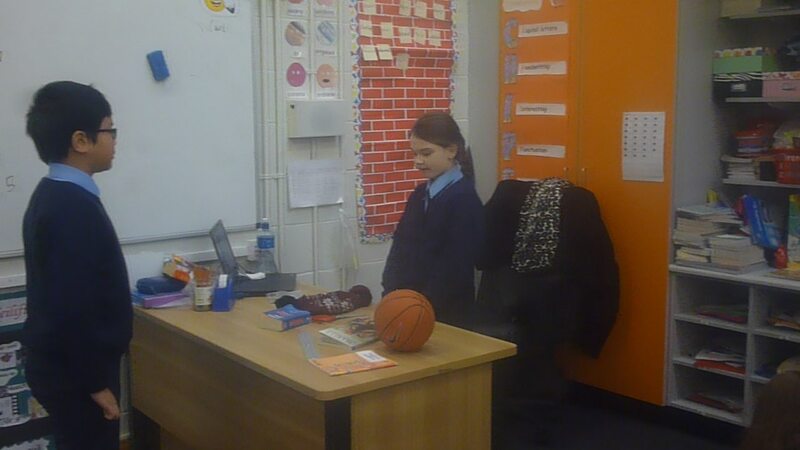 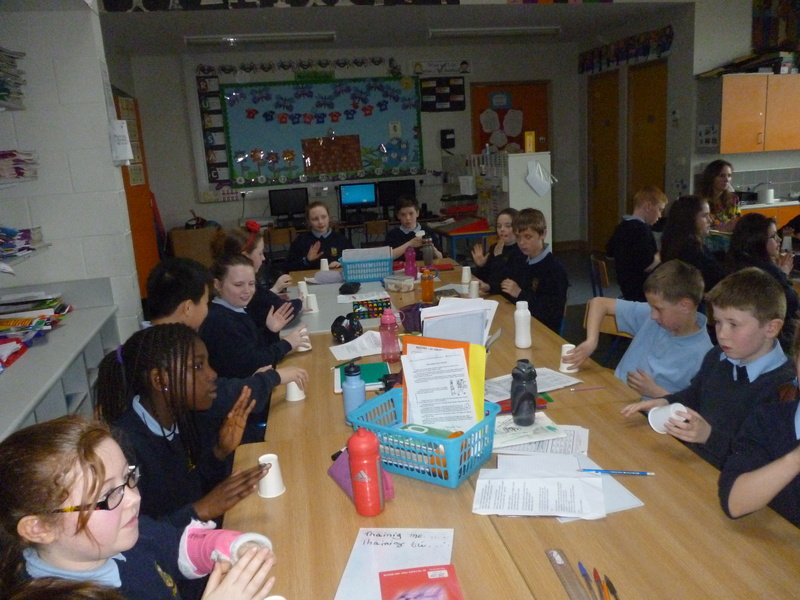 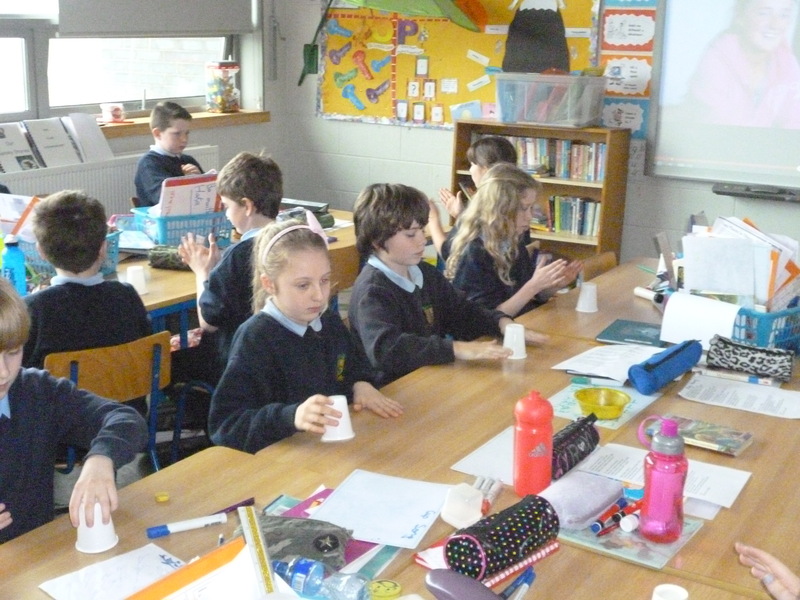 We enjoyed many activities throughout ‘seachtain na gaeilge’ this year. 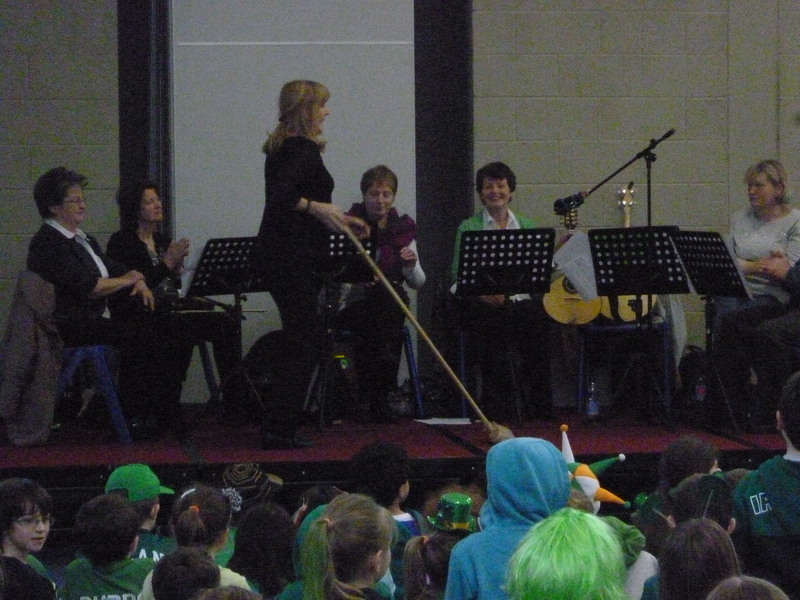 Traditional musicians visited and entertained an enthusiastic crowd with some beautiful traditional Irish tunes along with a brush dance performance. 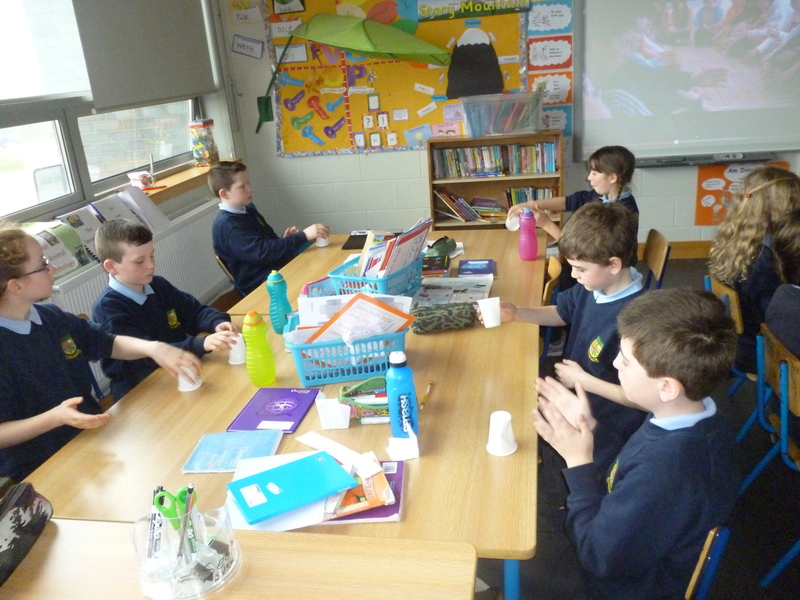 Táimid ag foghlaim ‘Amhrán na gCupán’ Tá an-spoirt againn! 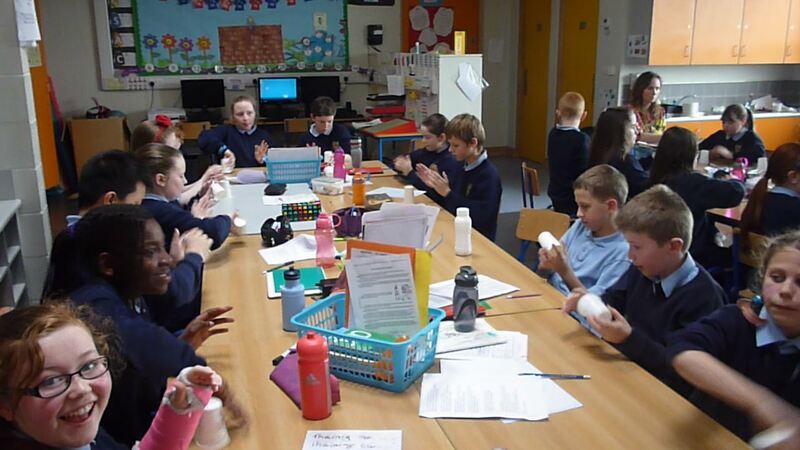 Inniu, bhíomar ag damhsa agus ag canadh ‘Ag cur báistí arís’ sa halla. 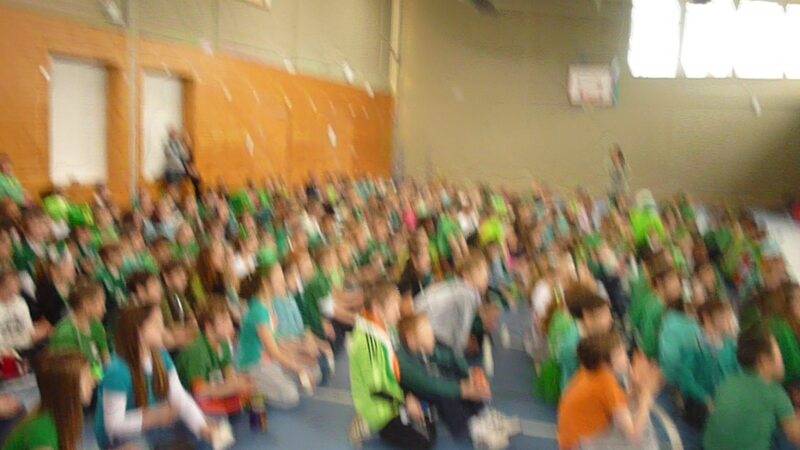 Bhí an-spoirt againn! 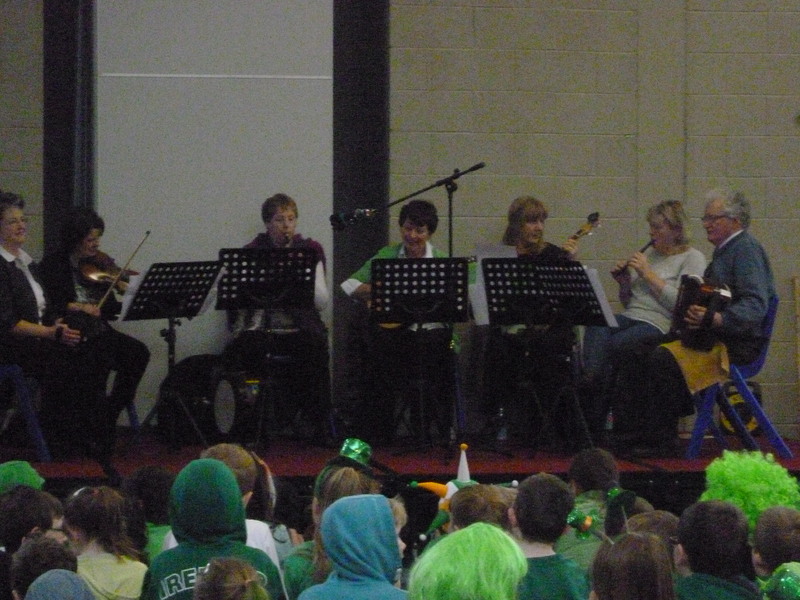 The Irish Rover sang by The Dubliners with the Pogues.